Everyone loves success. Success happens when you influence with greater impact and compassion (especially yourself). As a TEDx and Global Professional Speaker with 24+ years of experience, engaging 51+ nationalities and covering 21+ countries I have inspired a countless number of people to success. 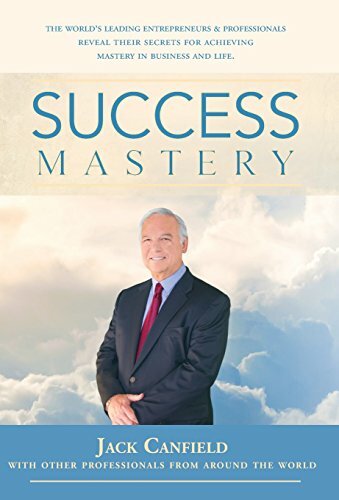 • Communicating with tremendous assertiveness. Business owners, executives & thoughts leaders, sales & marketing, technology teams and many more turn to me to up their influencing and personal impact skills. You deserve to interact with someone who understands the local, regional and global mindsets and cultures. This is where I come to serve you. I am driven by my inner theme of "Act of Life". Did I always have these skills, the confidence to be part of a best selling book (Success Mastery with Jack Canfield), speak on a TED stage and be a global speaker? Well, not really. Certain life-changing events, led me to massively improving my personal success skills, such as higher emotional intelligence, listening, critical thinking and speaking. With practical experience, studying & learning from successful people, I have helped to accelerate the growth of a countless number of people. Some call me a “compassionprenuer”. Citations about my work have been in the media (CBS NEWS, FOX, NBC & ABC) and appeared on Vietnam National Television numerous times. Delivery done for Armani Hotels & Resorts, Oracle, HSBC, Harley -Davidson, KPMG and more. Session delivery in Singapore, Dubai, London, Vietnam, Afghanistan, Philippines, UK, Congo, France, Australia, America, India & Kenya. Delivery done to Armani Hotels & Resorts, Oracle, HSBC, Harley -Davidson, KPMG, Baskin Robbins. Connect with me or book me to be inspired in "Developing Executive Presence" leading to your own unique formula of success. mastery. Inspired by Meher Baba teachings of "mastery in servitude". Thus I am here to serve you. Practical, inspiring and energetic talks for you anywhere in the world.